This is the look of terror. A photograph of the new version of Pennywise The Clown has been released. 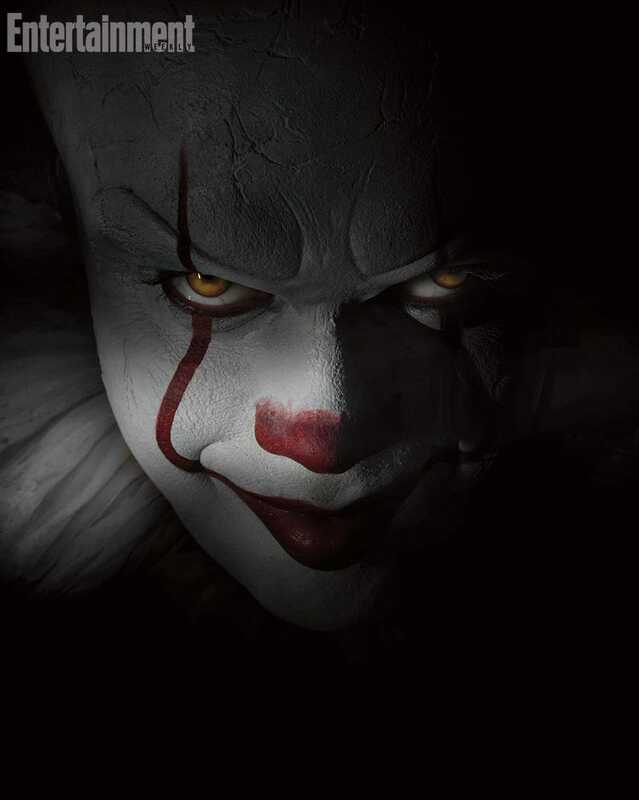 From the horror novel by Stephen King It, Pennywise only looked like a clown it was not, rather a supernatural being who terrorizes children by feed off their emotions, especially fear. Its a departure of the original from the tv mini series which was more straight forward as shown. But that one was played by Tim Curry and didn’t need too much in the way of design. The new design had to move away from the original with those lines running down the and sans clown nose. I think this looks cool. Now, let’s see if the movie is good. Due out Sept. 8, 2017.